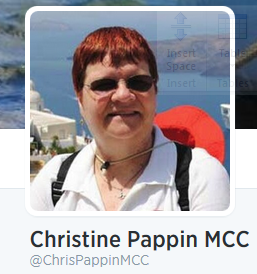 Those of you who have followed me here or on Twitter, know that I love Penguins. 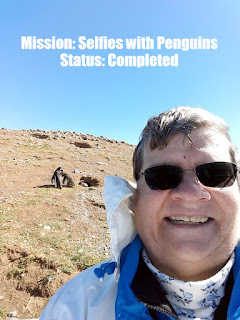 That's what this trip is all about - having the opportunity to see multitudes of penguins in their natural surroundings. This trip wasn't only about penguins. We arrived in Santiago, Chile on January 18, 2017. For the next 14 days, we explored South America including the countries of Chile, Argentina, Uruguay, and the Falkland Islands. We saw Amalia Glacier, Glacier Alley, Fjords, Cape Horn and many other magnificent sites along the way. Having sailed the seas for more than 30 years, it's hard to narrow the list down to one trip as the "best", but this trip certainly is among the top contenders. Come along with us as we provide a day by day diary of our voyage to South America - Cape Horn. 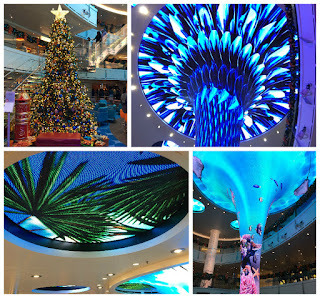 Upon embarking the ship for our conference, the first thing that caught our attention was the beautiful Carnival Vista Atrium. This giant, multi-deck-high centerpiece with its LED screens and changing visuals create an atmosphere of paradise. 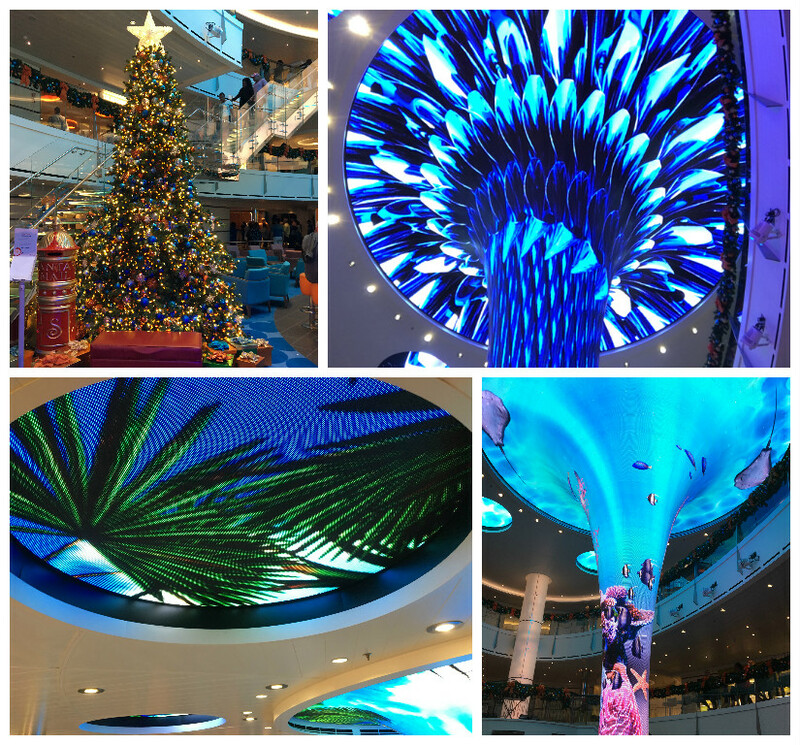 With the addition of the Christmas tree, complete with mailbox to Santa, the atrium was quite a festive gathering point during the cruise. One morning the Cruise Director hosted a synchronized Christmas song performance in the atrium. 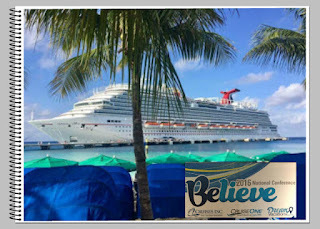 Click on the image to the left for more Blog posts and photos from the 2016 National Conference cruise on Carnival Vista. 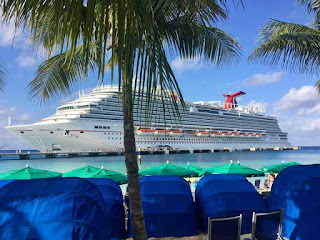 The 2016 National Conference for Cruises Inc., CruiseOne, and Dream Vacations was held on board the new Carnival Vista which sailed out of Miami, Florida to the Southern Caribbean. Prior to the cruise, agents and franchise owners assembled at Sheraton Miami Airport for a pre-conference reception. We departed Chicago on a 6 AM flight to Miami. Since the conference was in December, you never know what the weather will be like in Chicago, so that factored into our selection of the early departure flight. After gathering our luggage from baggage claim, we waited for the hotel shuttle for the short ride to the hotel. We checked in upon arrival, but our room wasn't quite ready so we took a seat in the lobby to wait until we could get into our room. We waited about an hour and then headed up to our room to drop off our baggage. 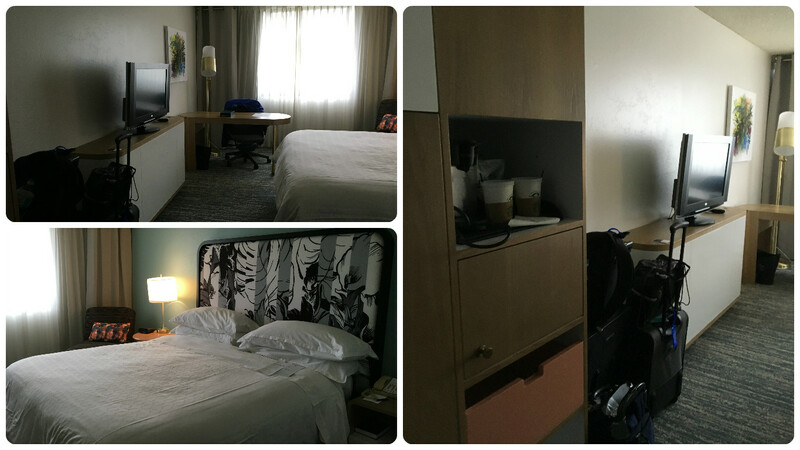 The Sheraton is undergoing renovation of their rooms, and we were one of the first to experience the new design. 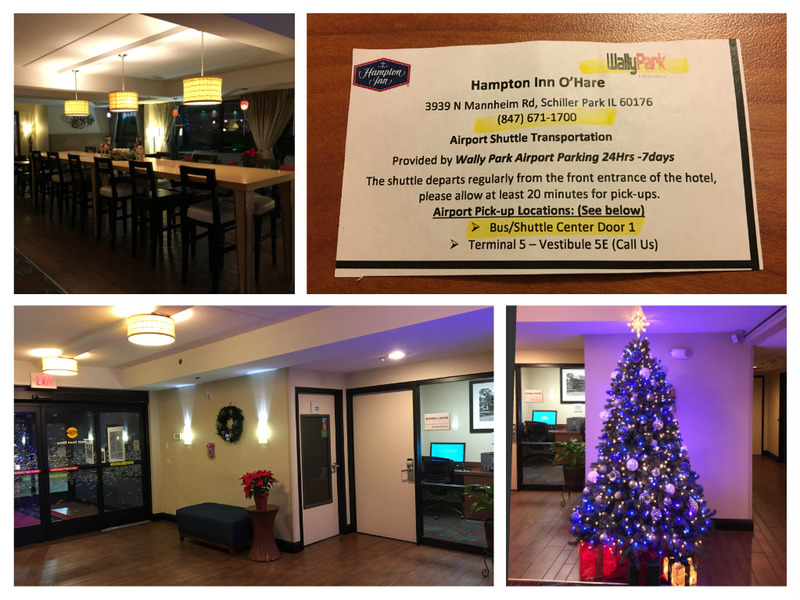 Amenities included a microwave, small refrigerator, coffee pot, electrical outlets with USB ports, and a flat screen TV. While we were only spending one night at the hotel, with the new changes, this hotel would be quite enjoyable for an extended stay. 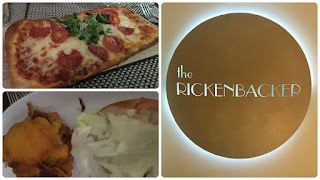 By now, it was time for lunch, so we headed back to the lobby and checked out the menu at The Rickenbacker. We decided to have something light for lunch. 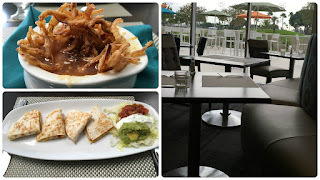 The french onion soup was amazing as was the quesadilla. The pre-conference cocktail reception was planned for the patio outside the Rickenbacker but unfortunately there were storms in the area that evening and the party was moved inside to the ballroom. Following the reception several of us decided to grab some food. We didn't really want to go out in the rain, so once again we stayed in the hotel. We selected flatbread pizza and a chicken sandwich. 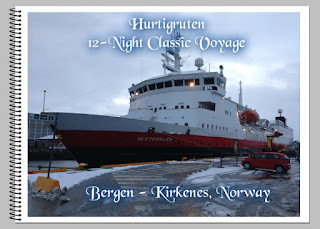 As we continue to look at 2016 in review, we are featuring our Hurtigruten Norway Coastal Voyage. This was the main highlight of the year, seeing Northern Lights in the winter skies of Norway along with many charming villages. 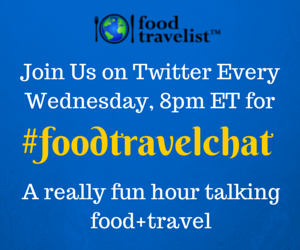 Food was outstanding during our voyage so we'll also be sure to report on each day's meals as well. Be sure to bookmark our diary page so that you can follow the entire trip. We arrived in Trondheim at 6 AM but our excursion wasn't until 8:40 AM so we had plenty of time for a leisurely breakfast. 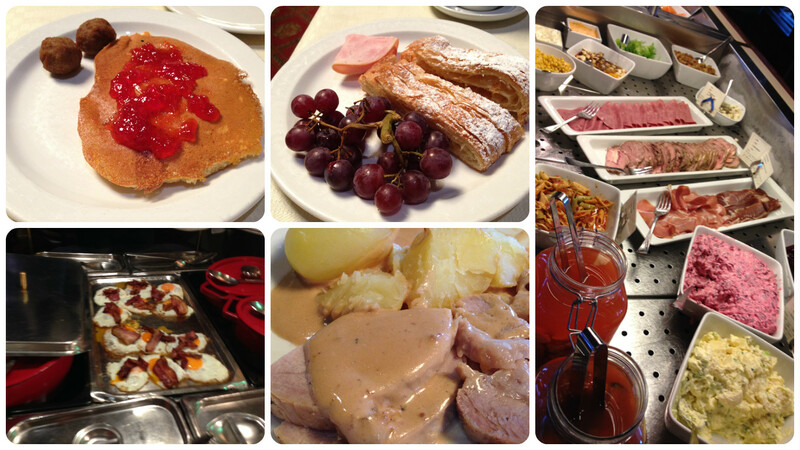 Today's feature included pancakes and eggs with bacon among other fresh selections. The evening's menu was always on the table at breakfast time so that you could see what regional favorites would be featured. For lunch, we included a small salad, sandwich, and of course one of the desert choices. 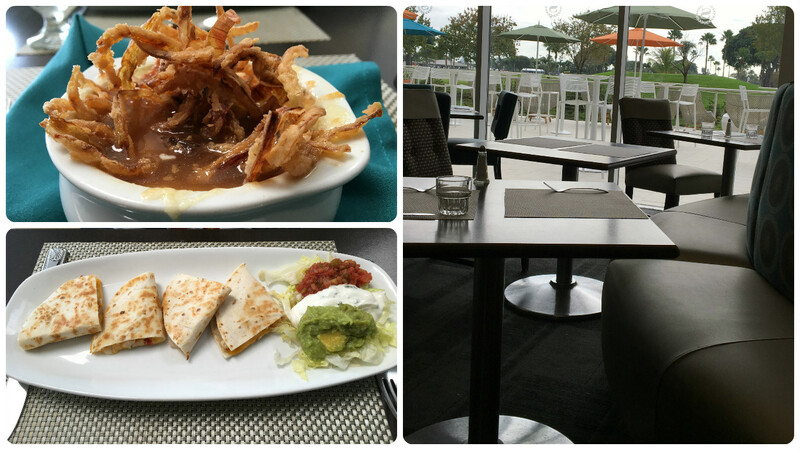 These pictures are just a sampling of the many options available each day. 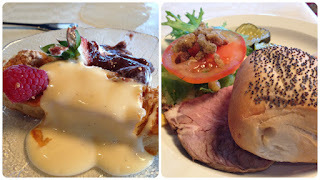 Almost every meal included potatoes which we loved to top off with the gravy of the day. Note: we will be adding to this album as we continue our journey. Our 2016 National Conference was held on Carnival Vista which sailed from Miami. The cruise actually began on Saturday December 3rd, but we had a pre-conference reception at Sheraton Miami Airport the night before. We booked an early flight (6 AM) to Miami so that we'd take advantage of cheap airfare and also get to the hotel in time for the evening event. That meant we'd need to get to O'Hare airport around 4:30 AM at the latest. We booked the Hampton Inn O'Hare for the night before because they offered a hotel package which included transfers to the airport and parking for the duration of our cruise. Friday morning, we got up early and gathered our luggage. After checking out we boarded the shuttle bus, which was waiting, for the short ride to O'Hare Airport. The airport was decorated for the holiday season. As you can see in this picture, the airport is pretty deserted at this time of morning. It didn't take long to get checked in and through security. One thing to keep in mind if you have an early flight like we did is that most concession stands at the airport don't open until 5:30 or 6:00 AM. Therefore, we had brought some food for breakfast from home. Staying at a hotel close to the airport prior to departure is a good way to avoid the stress of rushing to the airport early in the morning. This year's National Conference was held onbord the first revenue sailing of Carnival Vista from its homeport of Miami, Florida. Ports visited were Aruba, Curacao, Dominican Republic, and Turks & Caicos. There were more than 900 people in our group. This post serves as an anchor for our mini-series of posts about the conference and the new ship. Please come back often for updates. The images above highlights our first 24 hours in Miami. We flew from Chicago to Miami, where we had a pre-cruise conference reception at Sheraton Miami Airport Hotel. The next morning we transferred by shuttle bus to the pier, where we got our first glimpse of Carnival Vista.